The US Postal Inspection Service's Nicole Gray Davis discusses how her team combats fraud. AARP’s Washington State Director and Fraud Expert Doug Shadel explains how AARP works with the US Postal Inspection Service. AARP Fraud Watch Network's Kathy Stokes and Nicole Gray Davis advise how to research and recognize legit charities. AARP hosted this Access Live event to discuss types of frauds specifically aimed at veterans and military families. 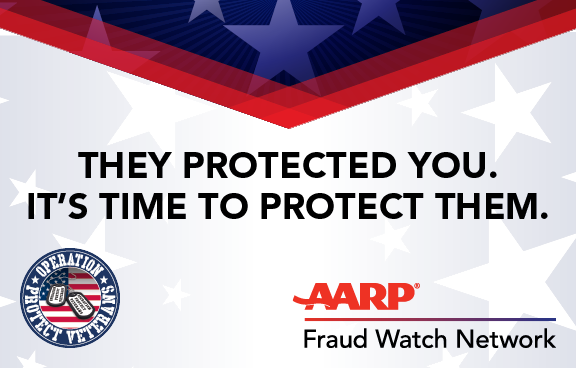 A panel of experts explained what AARP and the US Postal Inspection Service are doing to raise awareness about scams that target our nation’s veterans. Topics addressed include fake charity scams, caller ID spoofing, and postal fraud.